so being in the middle of a fairly large overhaul of the current boxster S, I removed the front bumper to find a large deposit of all manner of things sitting in front of my side radiators. the outer grilles on my bumper were looking worse for wear anyways so i whipped them off and decided i should do something with them in terms of re-finishing them. 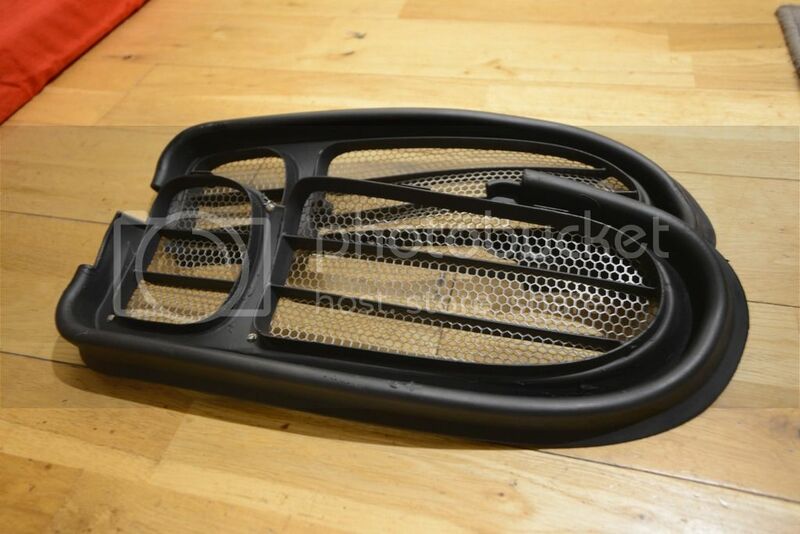 i am unable to buy zunsport grilles for my car as i have the aerokit 1 front bumper and zunsport dont sell grilles for my car... not that i would pay £130 for them anyways..... i was just going to paint them and try and fix the broken fin on one of them. tried glue and plastic welding but none of these worked on the broken fin, but luckily i found a little stash of stainless mesh! spent a couple hours (after painting them) carefully snipping away at the mesh to get a pretty good look and fit. i decided going behind the fins was better as it a bit more subtle! 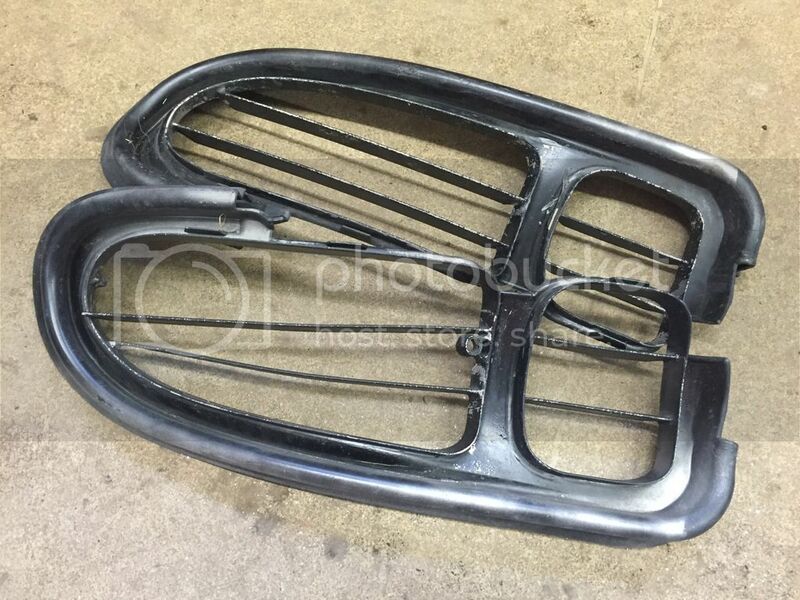 there are 4 pieces in total, the mesh has had a channel snipped away where it meets the fins so it all tightly in place and the small screw heads will be covered when the grille is replaced in the bumper! all in i am very happy! cant wait to see them re-fitted back in the bumper! and the all important pictures! That looks great! Keep an eye on your temp gauge after you mount them back on the car. The holes in the mesh you used look pretty small and restrictive. In regular wire mesh (in the USA we call it chicken wire), holes smaller than 1/4" essentially block the airflow at speeds over 60 mph or so. It hopefully will not be an issue for you, but it's something to look out for. Of course during this time of year in tropical Scotland you probably will be fine, but once it warms up you may notice higher coolant temps. Great looking. They look 100 times better and I don't think you'll be having any problems with overheating at all . definitely post installed picts! Nice job!